‘Heal the sick, say unto them the Kingdom of God is come unto you. 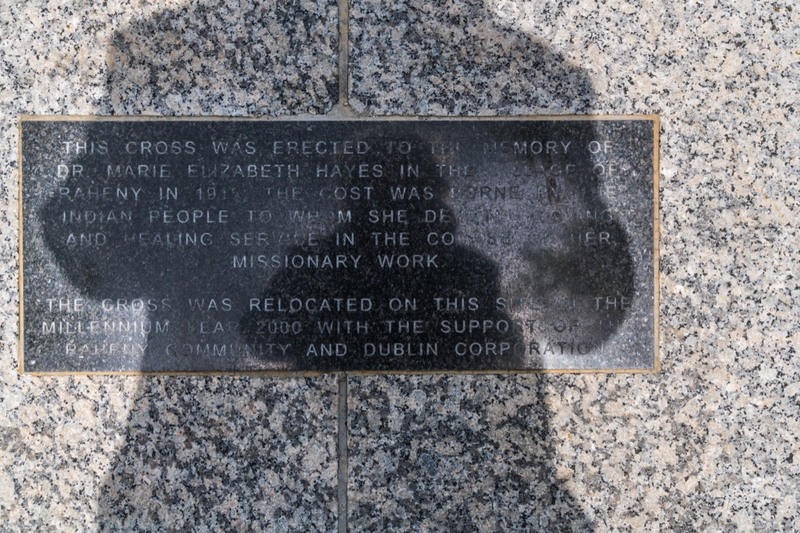 The Marie Elizabeth Hayes the inscription refers to was a daughter of the Rector of All Saints’ Church. 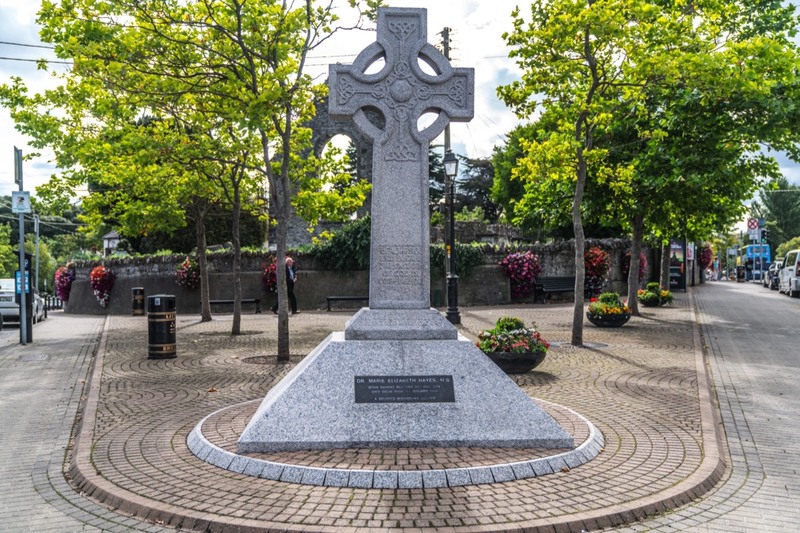 She was born in Raheny in 1874 and was one of the first women to become a doctor. She went to India to work as a doctor and missionary but she died of pneumonia in 1908, after only two years in the country, when a patient who had the pneumonic plague bit her on the finger. 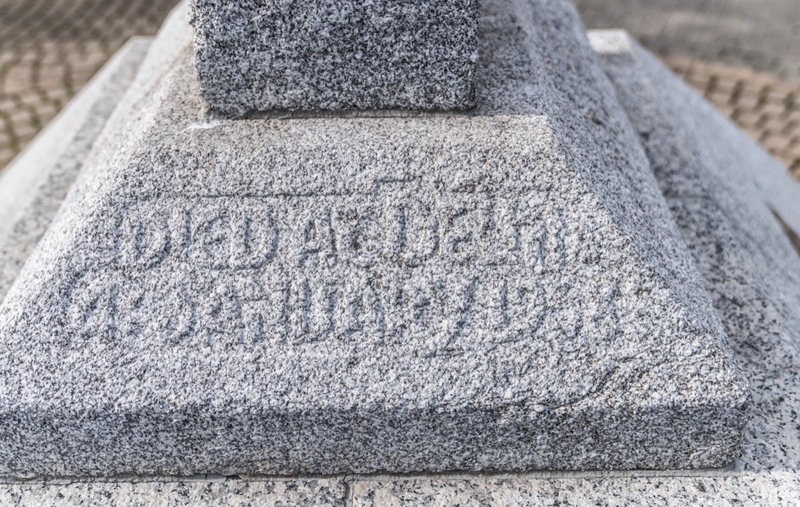 She was buried in Delhi the next day at the age of thirty-three. 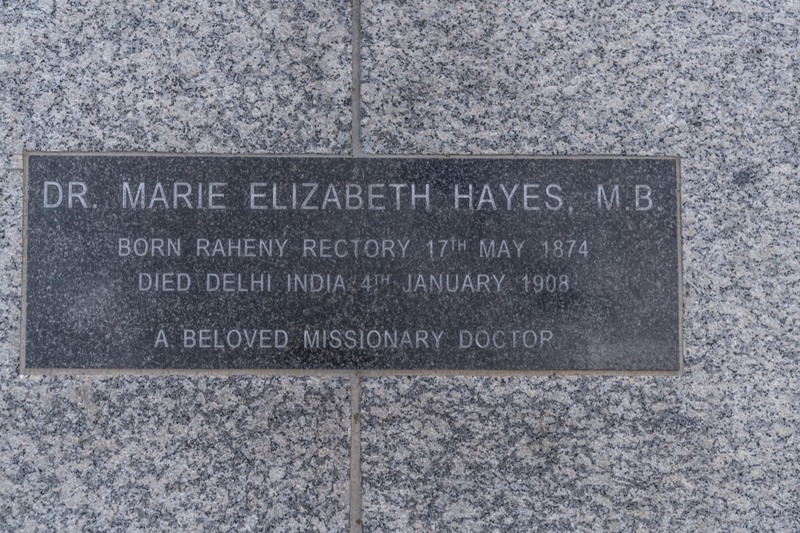 After her death the people in Delhi among whom she had worked and in Raheny donated money in memory of her life. 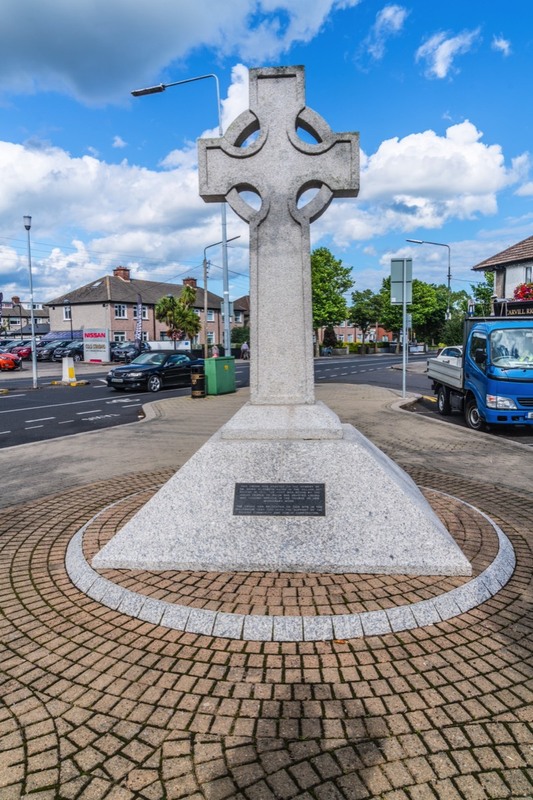 This money paid for a hospital ward in Delhi and for a memorial cross for Raheny. 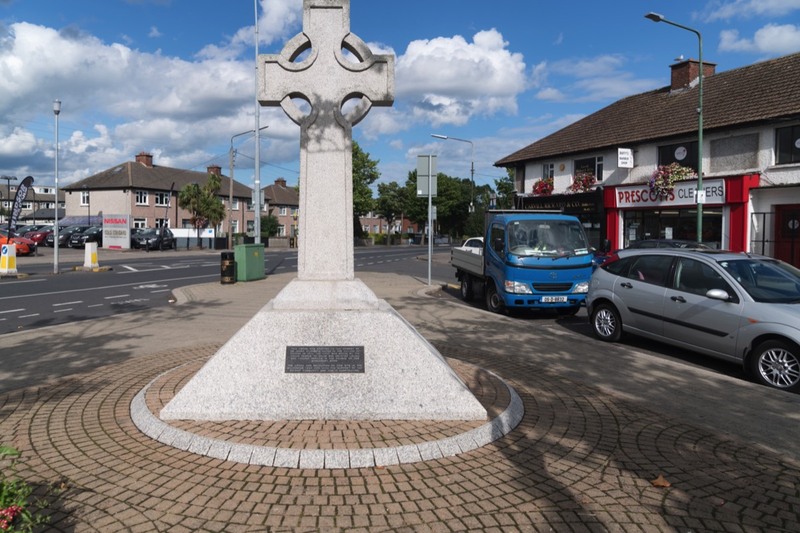 The people from Delhi must also have imagined that living conditions in Raheny were similar to those in Delhi where clean water was badly needed, so they also paid for village pump. 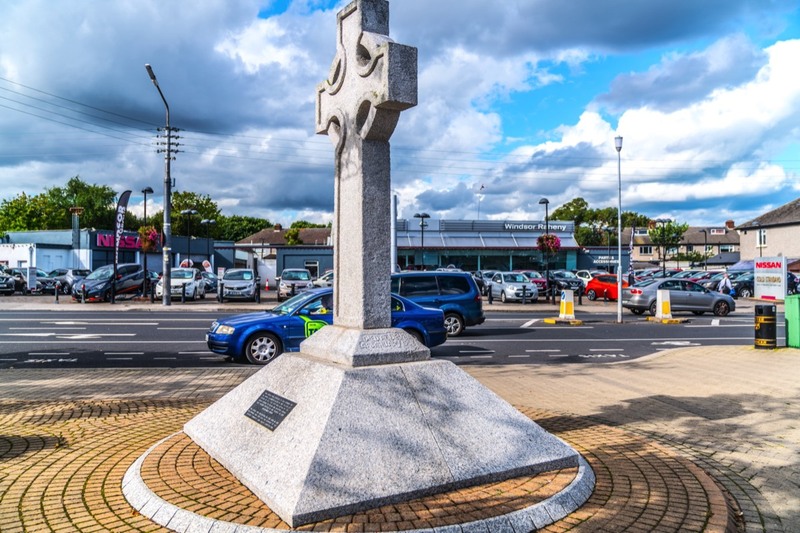 The cross, also known as the Hayes Cross, along with the water pump were at first installed between Main Street and Watermill Lane. 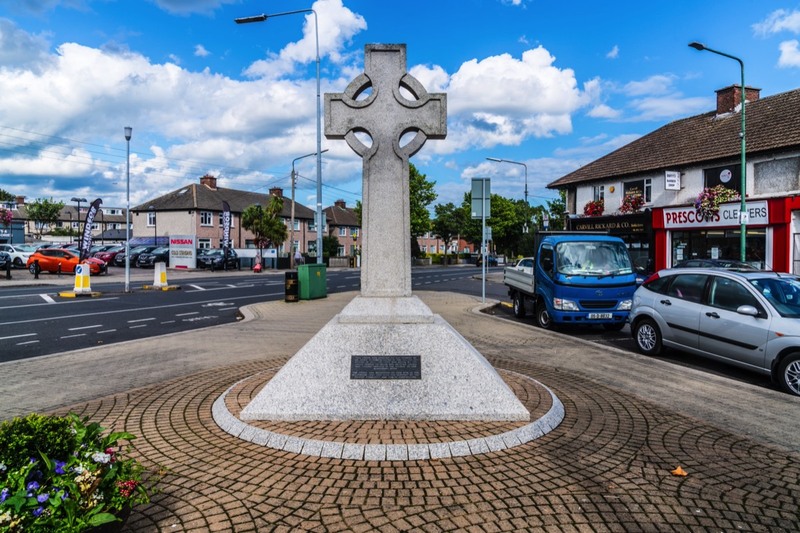 However, when Watermill Road was widened in 1969, the cross was taken down and moved to the grounds of All Saints’ Church for sixteen years. After that it was moved twice more until it came to where it is today, beside the ruins of St Assam’s Church in the centre of the village. The village pump, however, is long gone.